This came in on my email form the Economic Times. 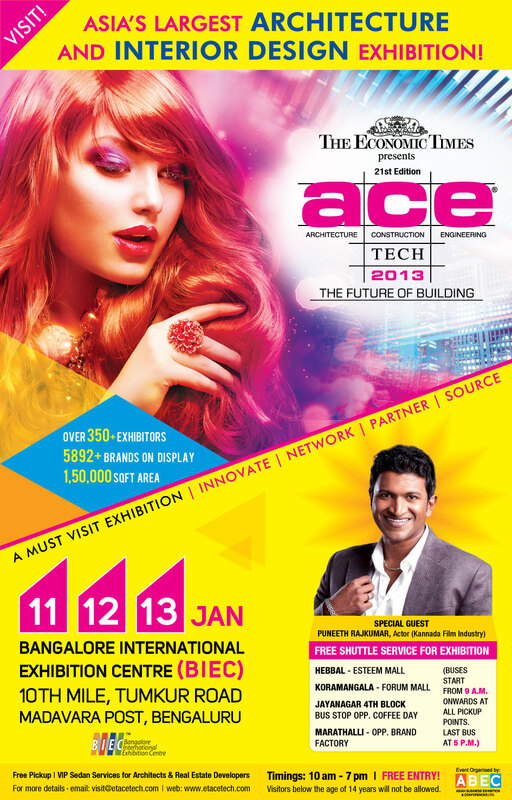 An invite to ACE Tech 2013, a trade fair pegged as the biggest fair in Asia for the building industry. What part of this has to do with architecture, the building trade or engineering i do not know. And i wonder if anyone reading this could enlighten me on the connection. What a red haired, pouting damsel has to do with any professional discourse or exchange in the construction industry is way beyond my imagination. To me this is titillation, cheap and low and completely unbecoming of a newspaper of this stature. Also I find it insulting, and derogatory of the profession of architecture and the allied professions of the building sector. And derogatory of women and very poor indicator the newspapers view of women. It is sad to see the moral vacuum that allows the press to let such work pass under its banner. It is also alarming to realise that this is the level of intellectualism ( lack of) that the news paper assumes of Architects and other professionals in the building design industry. I am saddened, astonished, aghast, disturbed and at the same time violently angry at such publications that reflect so poorly and paint us professionals in such an undignifeid and low light. Is there no discourse? No agenda, no technological discussion that would be meaningful to architects and engineers and product manufacturers alike that could have been used for publicity. And in the aftermath of the recent happenings in Delhi and elsewhere, and the massive uproar for greater respect and protection of women I feel ashamed that a reputed national daily should so willingly and shamefully resort to such misogynist adverstising. I have written to the ET, but have not received a response yet. This here is a record of my utter disgust and disappointment at receiving such an email.